To everyone asking how to play IPL 2019 Karare Strikers, Don't Get Fried! Here's a step by step breakdown of what you need to do. Don't miss out on the chance to play a super exciting over and win some great prizes Aim for highest score in one exciting over. Just sync your mobile to the game and get batting! Win RCB home match tickets, merch, and an entire season’s worth of Too Yumm! from your web browser and follow the instructions. Ensure that you submit your score by registering. Participants who deny email address access will not be eligible to participate. 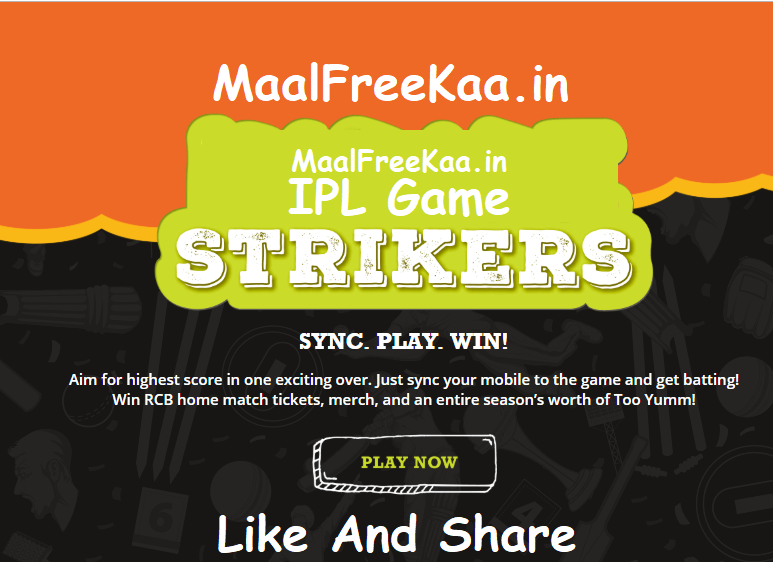 Multiple entries per participant are allowed.In case of a tie, the player with more number of plays will be ranked higher The name of the Winners shall be announced by GIL on on Too Yumm Facebook, Twitter & Instagram Handles The Winners shall receive RCB Home match tickets and other exciting prizes. Prizes may be subject to change by GIL without providing any information on the same.